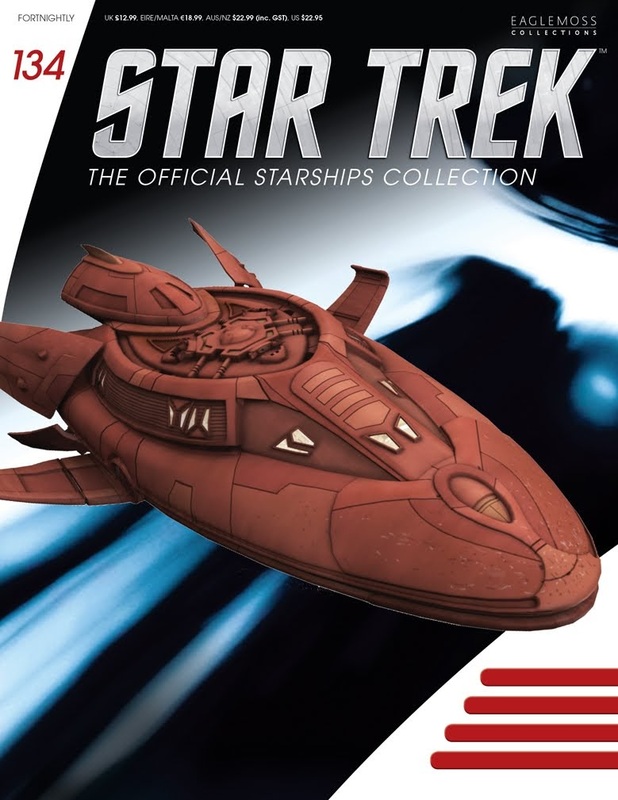 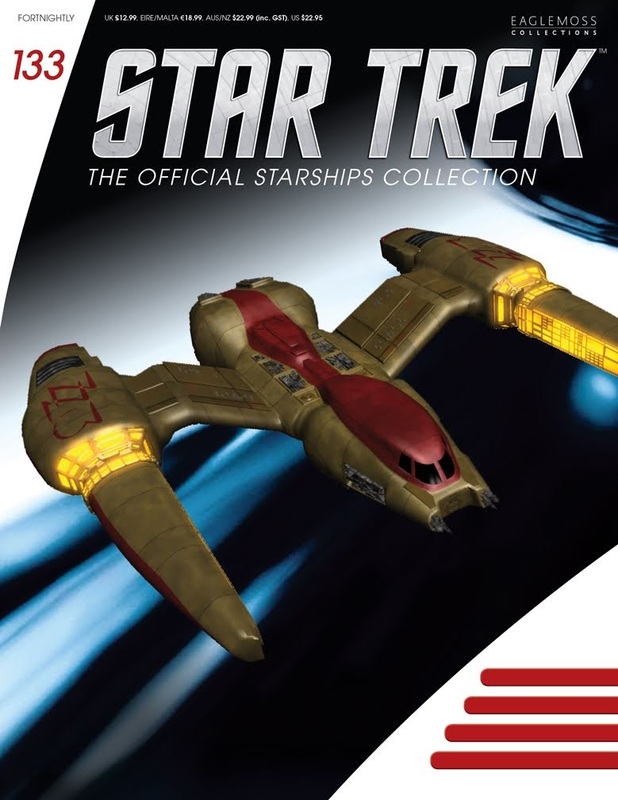 Eaglemoss have released their latest round of solicitations for The Official Starships Collection, including the first looks at the models and covers for issues 133 and 134. 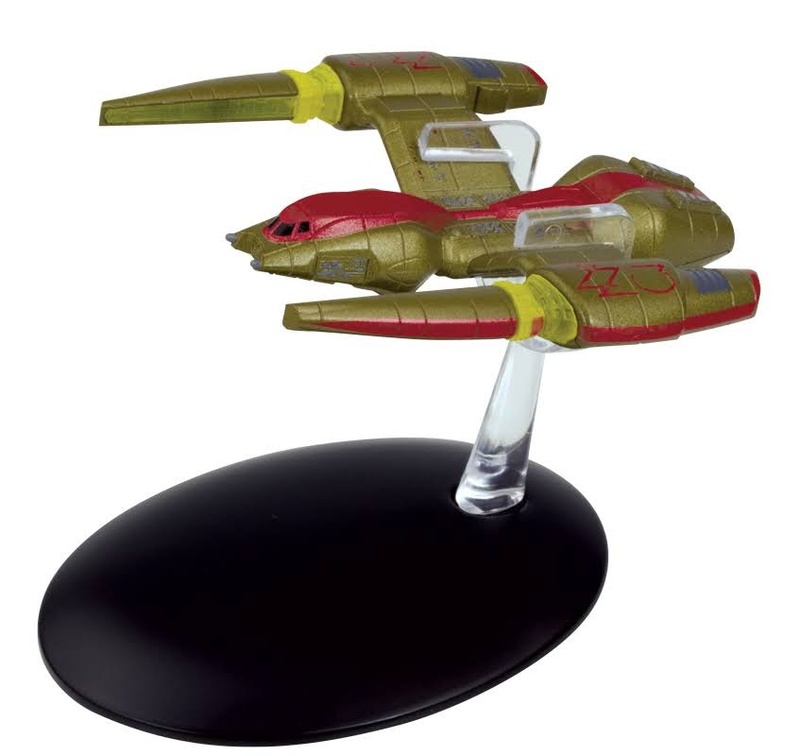 The latter of those is the Vulcan survey ship, one of two 20th century Vulcan ships seen in Enterprise's Carbon Creek (the other has yet to find its place in the collection). This one should arrive in September in the UK, and other markets later. Earlier in September, issue 133 will be Irina's racing ship, from Voyager's Drive. 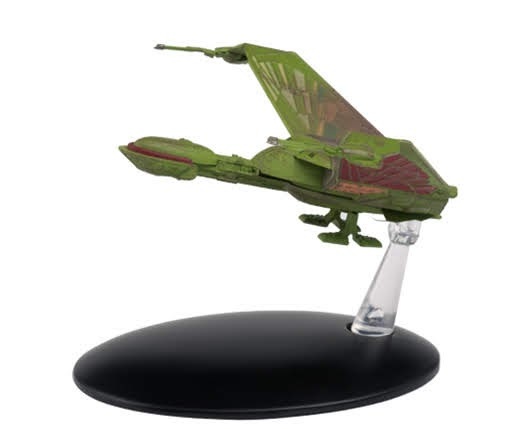 Looks like this is one of the smaller models in the collection. 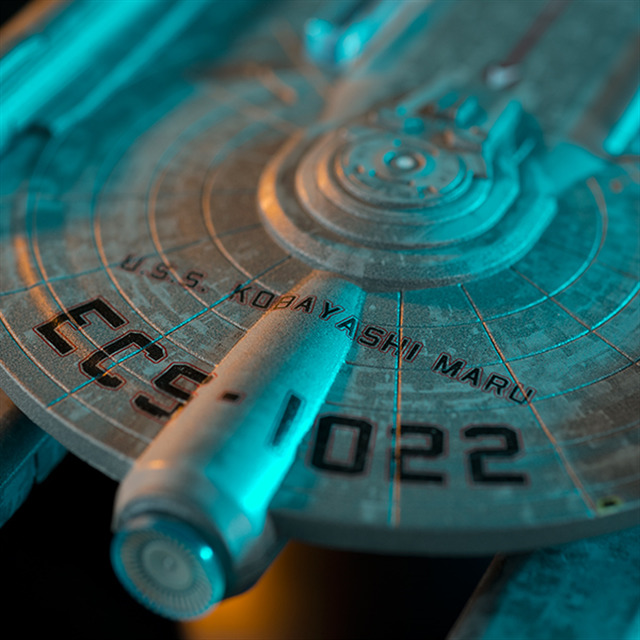 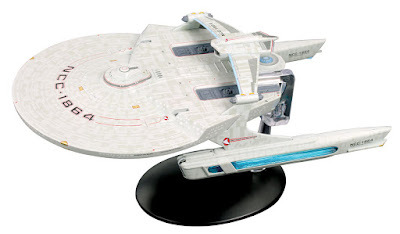 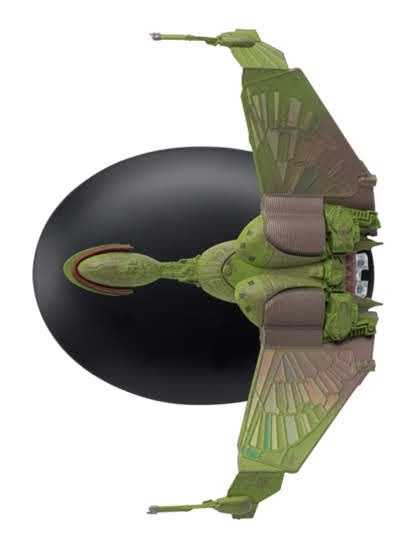 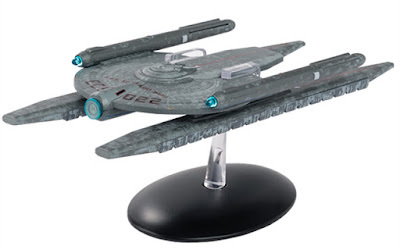 UPDATE: Eaglemoss have just put up a listing on their UK webshop for the fourteenth special issue, the USS Kobayashi Maru, including a couple of new images of that model. 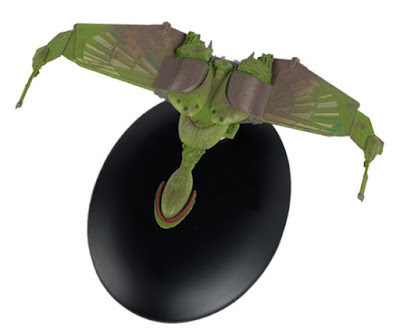 It's expected to arrive mid-August. The next couple of bonus models have also now appeared on the Eaglemoss webshops for pre-order, both expecting an August release. 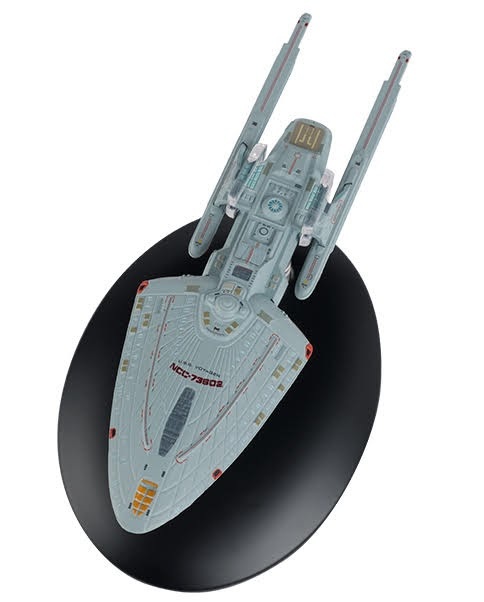 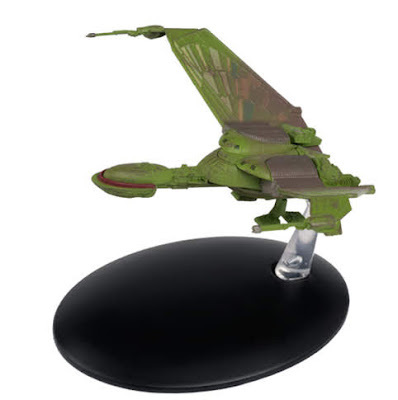 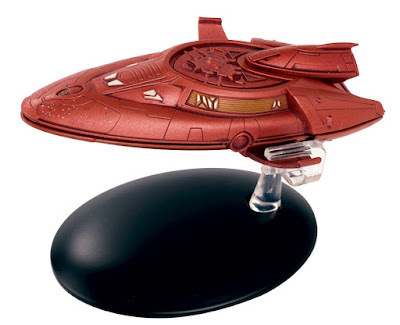 The Rick Sternbach concept USS Voyager is only listed on the US webshop at the moment, and that includes one new image of that model. 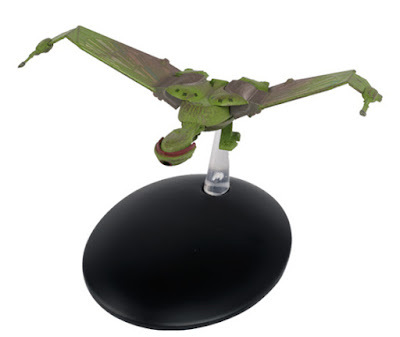 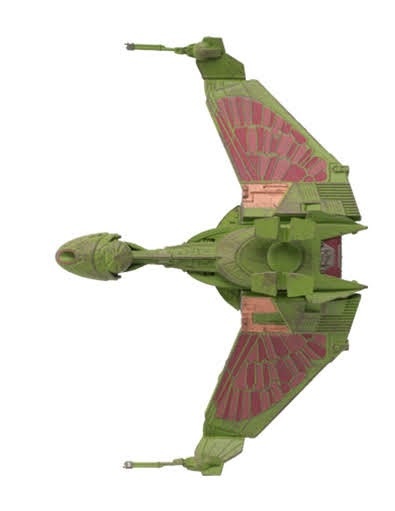 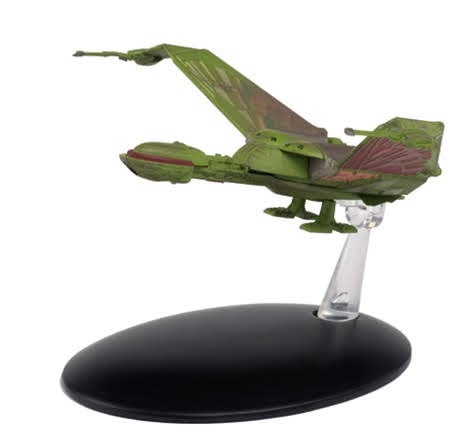 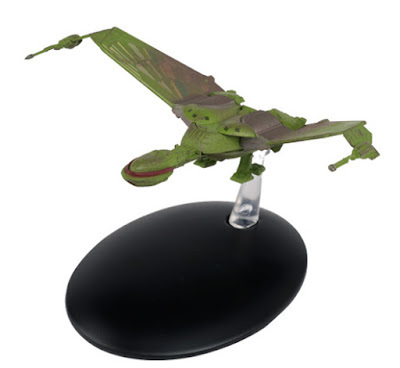 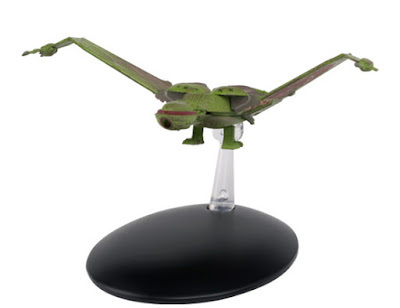 The landing mode Klingon bird of Prey meanwhile has only shown up on the UK webshop so far, and they've posted a whole load of images of that model!